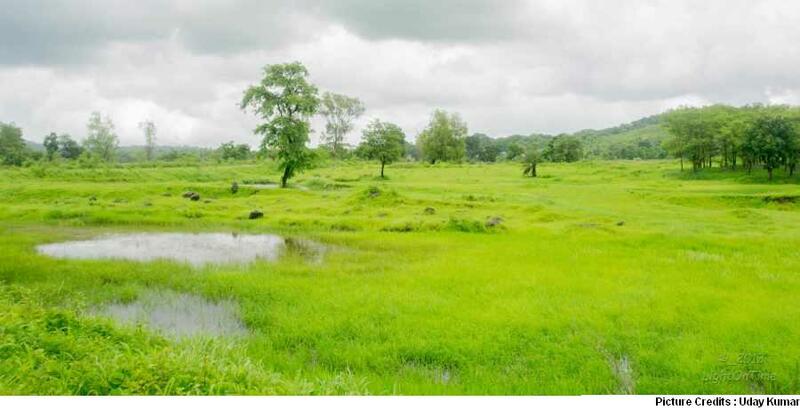 In the green, 29 Kilometres from nearest railway station Virar on Western Railway Route is this place called ‘Vajreshwari’, Formerly this village was called ‘Vadvali’ (Do not get confused of another village called ‘Kasar Vadavali’ which exist in Thane). Goddess (Devi in Marathi) got her name from a word ‘Vajra’ which means sudden flash of lightening which is destructive and unpleasant in nature. I just assume, Centuries ago this distant village far from the thought of development, which is still surrounded with lush green nature and less developed, might have attracted unpleasant situations like heavy monsoon, thunders or might be some horrifying similar experience from Portuguese who ruled around the locations of Vasai Virar. To save themselves, villagers have prayed to the Goddess (Meaning ‘Thunderbolt’ in One word) who blesses all and the mighty power are still honoured by local and other villagers around the district and so is the name famously called ‘Vajreshwari Devi Temple’. Decades before, at about 8 Kilometres ahead of Vajreshwari was another village called ‘Gunj’. 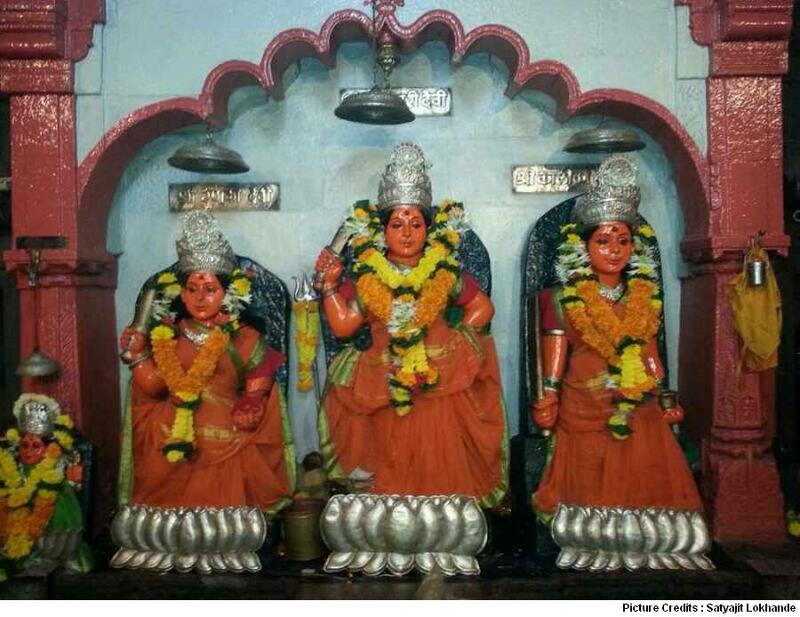 Actual existence of this Goddess temple was in this village, But during that century portuguese ruled and destroyed the village completely and so the temple was relocated to Vadvali village where it exist now. The temple opens at morning 5:30 and surrounding is pleasant once you climb some 50 odd foot steps. Goddess Kalika and Renuka temple also resides inside along with Vajra Devi. recommended best time to visit will be Rainy days as monsoon will gift you a green belt view start from National Highway Shirsad Phata from where your journey towards this holy temples starts. Winters are also pleasant except the green view ride which u will miss. Summers are very hot, But Devotees and faith is what no season beats. The temple location is on the main road of village. It have a paid parking facility just near temple, Other basic food facilities around. I would highly recommend to take your own food and enough mineral water if planning such locations. A lane / road exactly opposite temple goes to an interior village of Vajreshwari at distance of hardly 1 kilometre to the hot water springs called ‘Akaloli Kund’. 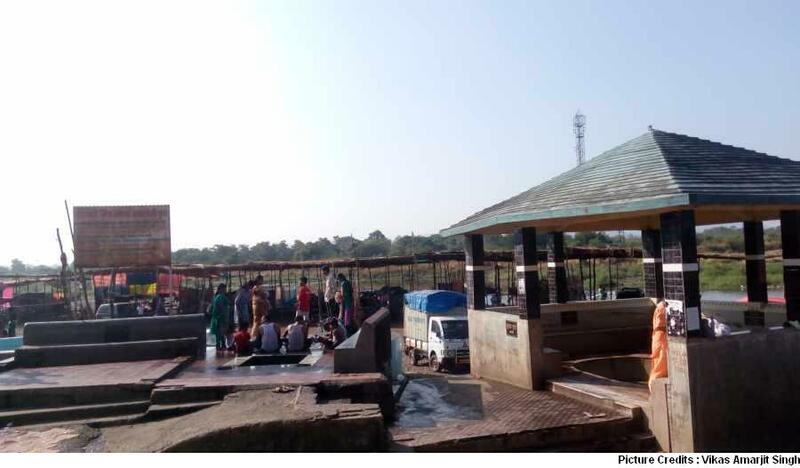 Commercial outlets, restaurants and other small temples of Hindi god and saints like Shri Jalaram Dham, Ram Dham and Sai Dham is what you will experience on the way towards couple of Hot water springs adjacent to the bank of Tansa River which flows adjacent to this springs. 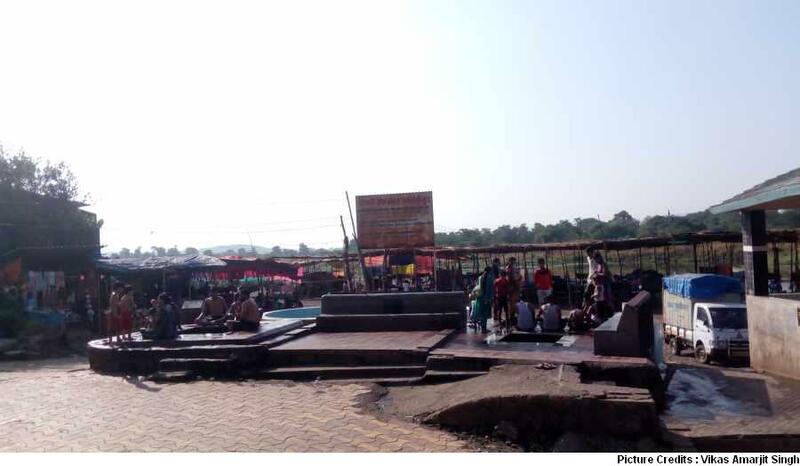 Frankly speaking a few family will not like to be around those Kund Springs as this river bank have temporary shades for car parking and seating on wooden Khats (A bed kind) on which groups of locals from around village enjoy drinks openly. Although their in no eve teasing or any activities which will disturb you personally, the locations will be bot disturbing due to the chaos, groups jumping in hot water springs and dirty surrounding with flowing drainage water towards river. Mandakini mountain is where this village is located and this mountain came into existence after an volcano eruption, After which the side effects are these heated water from ground in the form of multiple springs of natural hot water all around in the location and near by villages too. Another famous temple at just 1 Kilometre distance from here towards Virar is Ganeshpuri temple. It also have 2 such geothermal heated water springs, recommended to visit if already in the location. Inside vajreshwari temple also their are 3 Kund’s with hot water which is better then the above mentioned. It is said that this rock heated water has sulphur chemical properties which help skin fight many odd diseases and so many people comes at such places just to get a dip inside. Since no one checks on people of skin diseases before allowing to get into such publicly accessible kund’s, sometimes it is dangerous to get into as the fun or trial of experiencing springs can reversely attract some problems with skin. Kindly note, During festive season ritual timings may change as required. Shree Vajreshwari Yogini Devi Mandir, Vajreshwari Road, Taluka, Thane, Bhiwandi, Maharashtra 401204. By Train : Nearest Railway Station being Virar (Local Train on Western Railway Route). Get down and take a bus (Recommended as a cheaper option) or private auto to reach the destination. By Auto : An Auto from Virar Station East can take anywhere around Rs.500 and no share auto’s available here. By Bus : VVMT and MSRTC buses goes from Virar railway station West adjacent depot. I guess the ticket cost must not exceed Rs.20 one way. 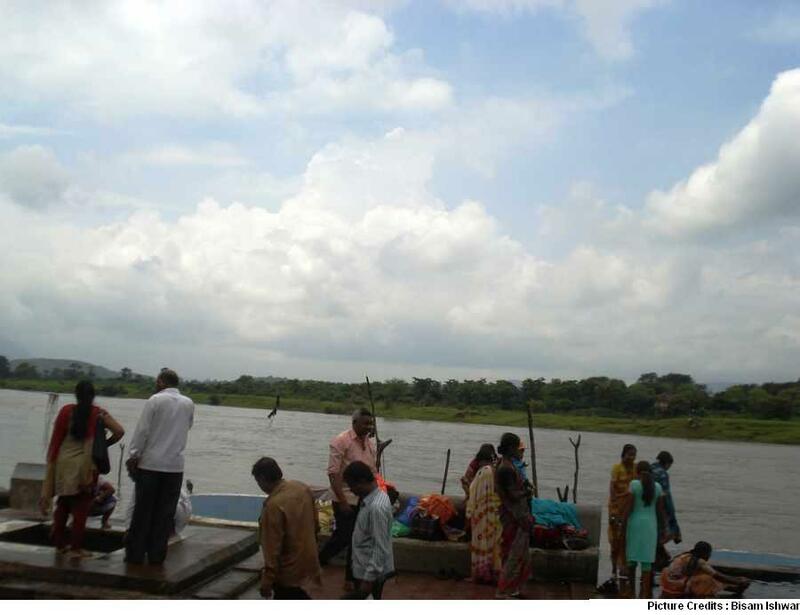 By Car : On National Highway 8, (Towards Mumbai, take left from Shirshad Naka before Virar) and (Towards Ahmedabad, after crossing virar bridge come Shirshad Naka on right side) Distance from Shirshad to Vajreshwari is about 16 Km. Parking facilities are available near temple or can park at any safe location in surrounding. Ganeshpuri Temple : As Said, Just a Kilometre before entering this temple. Mahavir Dham : Another famous and more frequented Jain temple exactly opposite Shirshad Phata. 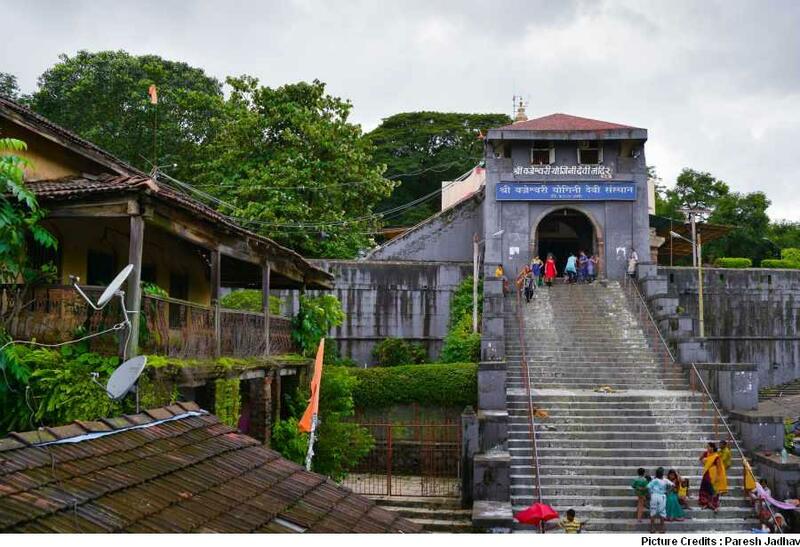 Jivdani Temple : Inside Virar is this very famous as it is located high on mountain with more than 1000 steps to climb, It does have a rope way option too. Agashi Jain Temple : Both Old and New temples (See video) at 5 to 7 Kilometer Virar Station (West) inside village. Arnala Beach : One of the famous picnic beach of Virar. See also adjacent beaches which are much cleaner but less of shades.